At least six people are dead in Michigan following a shooting rampage that began at an apartment complex and stretched across Kalamazoo County for hours on Saturday night. 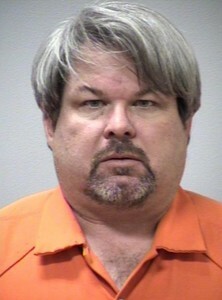 Jason B. Dalton, 45, the suspected shooter, was taken into custody early Sunday morning, police said. Officials said Dalton opened fire on people who had no apparent connection to him, targeting three separate locations over a roughly four-hour period. “These are random murders,” Kalamazoo County Undersheriff Paul Matyas said. An Uber representative told the PBS NewsHour on Sunday that Dalton had been working as a driver for the ride-hailing app but would not confirm whether he was picking up Uber passengers Saturday night, instead referring the question to police. When contacted, Matyas said he could not comment on details related to the case until a more thorough investigation has been conducted. Uber has noted that the car service company conducted a background check on Dalton before he was hired, Reuters reported. The shootings began at approximately 6 p.m. at an apartment complex, before Dalton allegedly moved to a Cracker Barrel restaurant several miles away. Four people were shot dead in the parking lot at the restaurant. A father and son also were killed at a nearby car dealership. Two other people were critically wounded during the attacks. Dalton was arrested at 12:40 a.m Sunday after a deputy identified his vehicle and found at least one semi-automatic handgun, according to the AP. A motive was not immediately released by the authorities. At a press conference on Sunday, authorities said Dalton had no criminal record prior to the shooting and will likely to face multiple counts of first-degree murder and attempted murder charges. “How do you go and tell the families of these victims that they weren’t targeted for any reason other than they were there to be a target?” Kalamazoo County prosecutor Jeff Getting said. The shooting spree in Kalamazoo was the 42nd mass shooting in 2016, according to The Washington Post.